Recycle old electronics conveniently in Arvin, California through All Green Recycling’s reliable e-waste services. You can count on us to recycle your electronic products professionally. Try our Electronics Recycling today. We have world-class IT Asset Disposition services. You have to rely on us as we’re able to deliver fulfilling services. Destroying the sensitive data and files is our forte. We’ve been doing this service for many years now. Brand protection is our expertise. We can do it through our certified and secure Equipment Destruction. Any business regardless of size needs secure and certified electronic waste recycling services. All Green Electronics Recycling has globally recognized ITAD services that are geared towards providing convenience and security. According to WHO, the young ones are vulnerable to the health risks due to e-waste exposure. Thus, there is a need for strong protection as children’s intake of air, water and food can cause health problems. Even adults can also suffer from the health-related issues triggered by improper disposal of electronic junk. It is due to hazardous chemical absorption. All Green is a certified service provider that offers the right packaging, pickup, transportation, and reception of the recyclable products, as well as the reporting of the needed activities. We are also trained to destroy, recycle or reuse your outdated tech products. So, try our Electronics Recycling Arvin Services today. Schedule an e-waste pickup schedule through the link button given below. 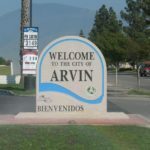 Arvin is a city that is situated in Kern County. It is located 15 miles or 24 km southeast of Bakersfield. It has a measured elevation of 449 feet or 137 m. In 2010, there were 19,304 who lived in this place as compared to the 12,956 residents recorded in the year 2000. Way back in 2007, the EPA considered this city as having the highest levels of the smog of all the cities in the country. The smog level had exceeded EPA’s tolerable limits of 73 days annually from the year 2004 up to the year 2006. We’re a world-class service provider of IT Asset Disposition services. We have been in this industry for many years. 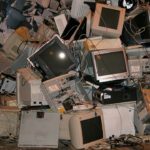 We know how to help you dispose of your old electronic products such as computers, mobile phones, printers, monitors, TV sets, and so on. Many customers have been enjoying our transparent and commitment ways to serve. We want our clients to be happy and fulfilled. We are holding ourselves accountable for everything that we do. From the time of collection to the final process, our team is dedicated to giving the best and most fulfilling service to address your concerns. If you’re looking for the best service provider in this city, our company is a good choice. We have the experience, expertise, and dedication. Our goal is to collect all electronic disposables and to process them correctly.